Yesterday afternoon, officials at the Centers for Disease Control (CDC) issued an alert for travelers heading to parts of Brazil. According to the official alert, officials in Brazil’s Ministry of Health have stated that there is an ongoing Yellow Fever outbreak that started in December of 2016. Initially in the Minas Gerais state, cases are now being seen in Sao Paulo and other surrounding areas. It is estimated that over 400 individuals have been infected thus far, with 40 confirmed deaths in humans and possibly 400 deaths in certain species of native monkeys. In an effort to fight back against the spread of this disease, Brazilian authorities are launching a widespread vaccination campaign to help immunize those who are currently unprotected. The CDC recommends that those traveling to effected areas of Brazil get vaccinated against yellow fever, or receive a booster if their last vaccination was over 10 years ago. Currently, there is a shortage of yellow fever vaccine, so getting vaccinated may take longer than usual. 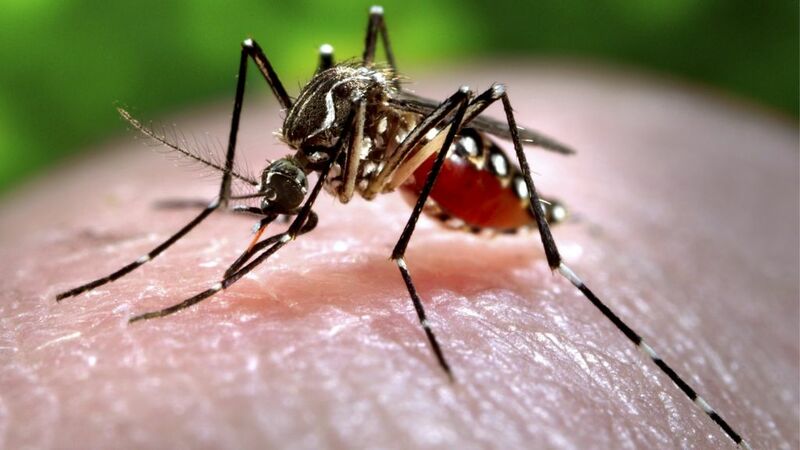 As with many other diseases, yellow fever virus is a vector-borne disease that is spread through the bite of an infected mosquito, either the Aedes or Haemagogus The virus can be spread to other humans if a mosquito bites an infected human and transfer virus with it while taking a blood meal. In some cases (15%), the disease takes a severe course and includes symptoms such as high fever, jaundice, bleeding, shock, and possibly, death. This entry was posted in Current Diseases and tagged Aedes, Africa, alert, booster vaccine, Brazil, CDC, DEET, Dengue, fever, infection, Minas Gerais, monkeys, mosquito, outbreak, repellent, RNA virus, Sao Paulo, South America, Travel, Travel Ban, vaccines, World, Yellow Fever, Zika. Bookmark the permalink.